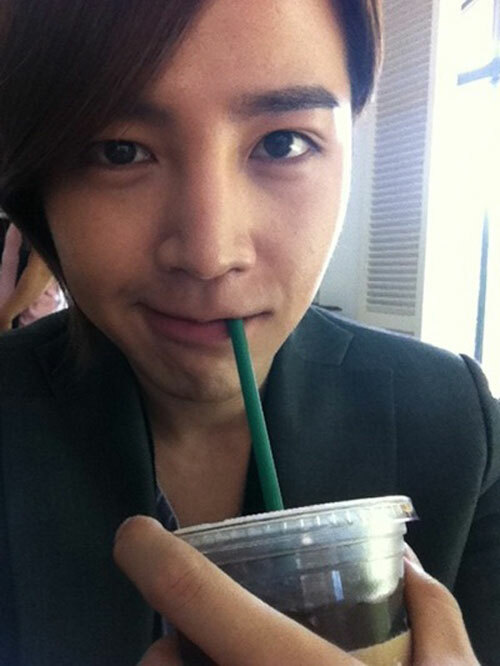 On the afternoon of May 2nd, 2012, Jang Geun Suk wrote on his Twitter account, “Drink coffee at the filming set,” and uploaded a photo. In the photo, Jang Geun Suk was drinking coffee and showed a lovely expression. In addition, the photo was shot in very close-up distance, showing the perfect skin which does not have any defect, proving his flowery handsomeness. Fans said, “Just drinking a cup of coffee also like a pictorial,” “Really is handsome man” and so on.